Introducing Alex Gordez – with unique sound that wins the hearts of everyone – young and old. His music is romantic, beautiful, lyrical, fascinating…and always captivating. It will make your event very special and unforgettable! 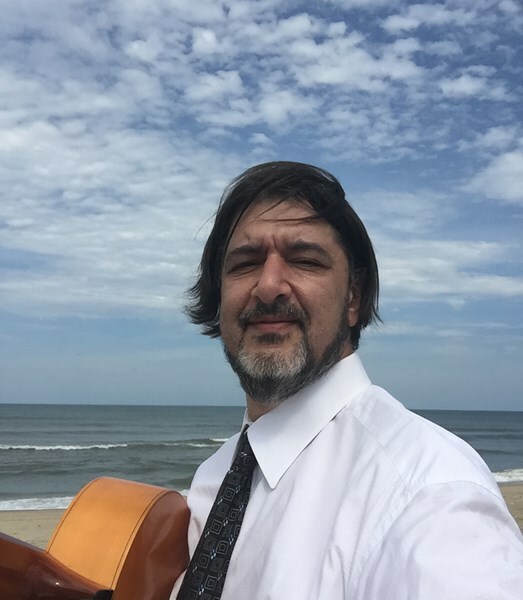 The program is carefully crafted to take listeners on an exciting journey through many different music styles, from traditional Jazz, Blues and World music, to Selected R&B, Pop and Rock covers arranged for the guitar, to Alex's own original compositions. 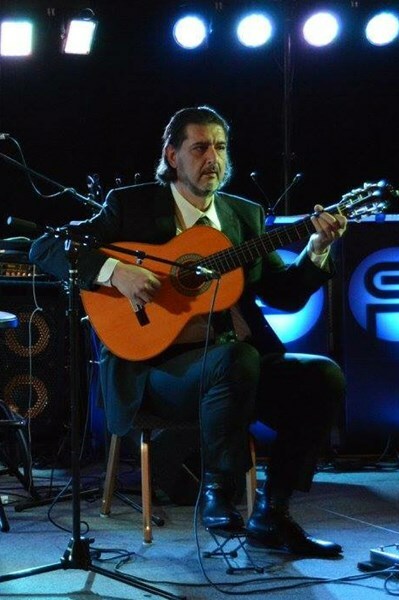 His music can find resonance with any audience, due to his virtuosity, tone, nuances, and emotions, - Lovers of tango, flamenco and samba would love his music for its emotions and temperament, and also jazz aficionados would admire the mastery of his solos. World and folk music lovers would get plenty of authentic melodies and roots in traditions, the rest of the people will enjoy the tunes and great energy, and even may recognize some of the tunes. Alex's music consists of much more than emotions and virtuosity. If you listen closely, you will hear thoughtfully constructed compositional techniques, intricate rhythms, dazzling ornamentation, and jazz-influenced improvisation. 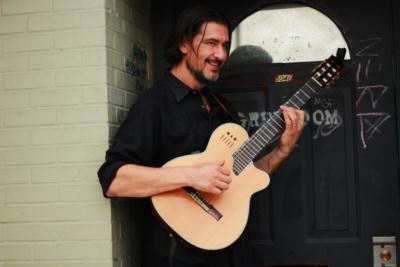 His music has elements of Jazz, Romany, Latin and Jewish traditions combined with samba, klezmer, flamenco, and other idioms. Such skillful mixing and addition of original ideas are the essence of his musicality. Alex can perform in many settings including: Small intimate club dates, fine restaurants, private parties, as well as festivals, college programs, weddings, receptions, conventions, classical events/symphonies – and delightfully entertaining, large stage productions. Solo, Duo , Trio and Band available. ATTIRE - Formal, Casual and Exotic (Gypsy) attire - let me know what you like ..
- Hotel charge is extra if travels exceeds 200mi..
Alex was excellent! I hardly ever rate perfect as there is always room for improvement. However, Alex's performance is perfect. He is unobtrusive, accommodating and a talented musician I will hire Alex again for other events. His passion for guitar supersedes all else. Thank you Alex!! Truly talented, with a really cool world vibe. Memorable for the right reasons, for our wedding cocktail reception & ceremony. I decided to have his CDs as our wedding favors for our guests, too. He was very accommodating, and gracious about getting to play for us, and even composed something special for my processional. We are honored to have heard him in person, at all, let alone this special treatment. He arrived with plenty of time to set up and discuss any items, and asked about attire, beforehand. I also found his rates reasonable and comparable to other quotes. All the best, Katie (wed in Wilmington, NC on May 9, 2015, with 60 guests). Alex played for our University Valentine's Dinner at NC State and he did a fantastic job. He was flexible and great to work with. He arrived early and stayed through the agreed time. We look forward to working with him again on future events. Alex was absolutely amazing . Very Talented. His love for his art is evident ! Alex was absolutely fabulous. He was on time, professional and played great music. A co-worker was so please she is interested in hiring him for some of her events. Alex is amazingly talented! Not only does he play beautifully, but he adjusts the volume of his playing to allow conversation. Everyone commented on his techinique and music choices. It is difficult to play to a large number of people ranging from 20 to 70 years old, but Alex was able to fascinate everyone. And, he found the perfect sound level to encourage conversation among all of our guests. Because of Alex, we had a wonderful party! We will definitely invite him again...and again...and again...! Alex was prompt, flexible, musically wonderful and provided an added value to our reception. Great to work with; will hire him again! Alex was amazing! His uncany ability to read the room was supernatural. We are so grateful for your beautiful performanace! We made the right choice : ) Thanks!! Alex was so easy to work with and an extremely talented guitarist! I can't wait for an opportunity to work with him again...thanks Alex!! Please note Alex Gordez will also travel to Garner, Cary, Knightdale, Apex, Morrisville, Durham, Rolesville, Wendell, Clayton, Fuquay Varina, Holly Springs, Wake Forest, Willow Spring, New Hill, Zebulon, Youngsville, Angier, Creedmoor, Chapel Hill, Franklinton, Middlesex, Northside, Smithfield, Butner, Coats, Selma, Carrboro, Benson, Moncure, Four Oaks.